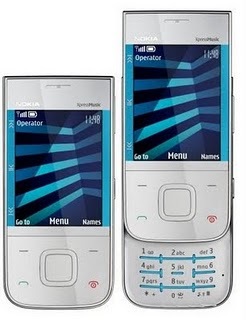 We have earlier covered upcoming Symbian OS S60V5 touch powered Nokia 5530 Xpress Music phone . Nokia 5330 Xpress Music is another future release in Xpress Music series . Nokia 5330 Xpress Music will be on Symbain s60 V3 user interface .So the price of the phone will be smaller and there will be large number of applications that it supports . Nokia 5330 Xpress Music specifications includes 3.15 mega pixel camera ,2 GB memory expandable upto 16GB ,2.4 inches TFT screen ,GPS and 3G . Nokia 5330 Xpress Music was first announced on march of 2009 , and is expected to get released by October . 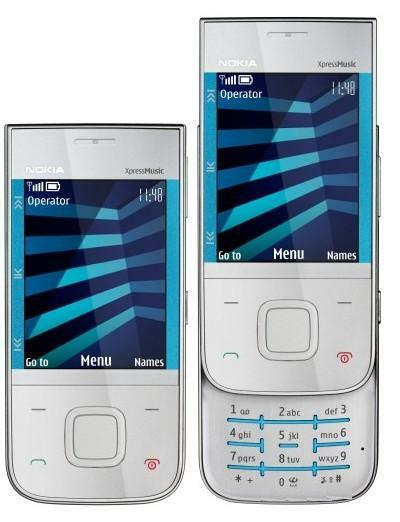 Nokia earlier released many Nseries ,Eseries and Xpress Music phones with S60 V3 user interface . So there will large number of available themes ,softwares and other goodies that support this phone. Xpress Music phone usually gets a dedicated chip for music processing . Also its capable of playing a couple of extra audio formats than normal Nokia phones . As you can see there are dedicated keys for accessing and managing music collection . Nokia 5330 Xpress is not a camera centric device , but the 3.15 mega pixel camera (no auto focus) is a good deal for this phone . Included 2GB memory expandable upto 16GB . Speakers and Dedicated touch music keys for enhanced music experience . GPRS Class 32 -Better GPRS speeds than 5800 and 5550 Xpress music phones . Bluetooth with A2DP ,USB . Full functional web browser with WAP 2.0/xHTML support . FM radio with RDS . Upto 26 h music playback and 7 h talk time on full recharge . Nokia 5330 Xpress Music price . There is official confirmations regarding the price of Nokia 5330 Xpress Music . But it will be around 10K INR in India (around 250USD) ,on comparing specifications and cost of Nokia 5530 Xpress music. price should be comparable with samsung corby.